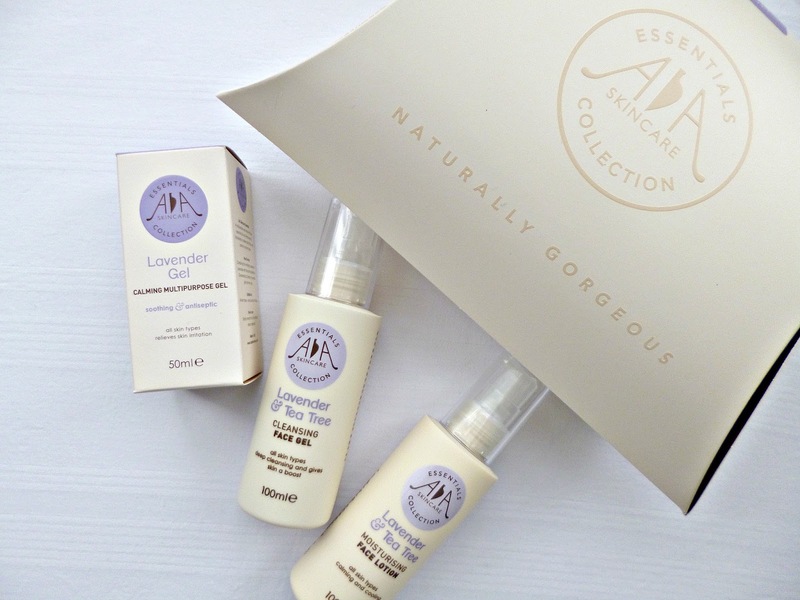 If you are after affordable gift sets that are great quality this Christmas, AA skincare have you covered. Yesterday I mentioned the Helping hands set in my Christmas gift guide and today I have a review of the Soothing and Balancing kit for you, with a giveaway at the end so stay tuned! What I really like about AA skincare is that they offer products that really perform at an affordable price point. The product packaging is also in my opinion unisex and suitable for all ages making this a really versatile range. All the products are paraben, mineral oil and synthetic fragrance free whilst including a range of natural ingredients, they would be the perfect introduction to more natural skincare for anyone wanting to make a switch or for someone simply looking for affordability. The Lavender and Tea tree face wash is a light and refreshing gel that can be used for cleansing morning and evening, although it does remove make up I prefer to use an oil based cleanser first and then go it with this. Unlike a lot of other gel and foaming cleansers this has no harsh foaming agents and instead relies on natural betaine to gently lift away dirt. It also contains aloe vera powder and the lavender and tea tree essential oils. Follow up the cleanser with the Moisturising face lotion which despite being a light lotion feels exceptionally soothing on the skin, every time I look at the price of this I am amazed by how good it is! If you are like me a little dry on the cheeks you may want to add an oil as well, for oily and combination skin types this may well be enough by itself! Last but not least we have the lavender multi-purpose gel which I use a spot treatment or to calm any irritation on the skin. The herbal extracts of chamomile, calendula and comfrey all work their magic whilst you also have honey, lavender, geranium and ginseng. A really versatile product to have in the first aid kit! I apply a little after the moisturising lotion has absorbed, it takes down redness and swelling from the blemish and helps it to heal without overwhelming it with product. AA Skincare have some great Black Friday offers coming up, including lot’s of savings on the gift sets as well free postage and packaging and free gift options. To celebrate they are kindly giving my readers a chance to win one of these kits for themselves, simply fill in the Rafflecopter below and good luck! Terms and conditions: This giveaway is kindly sponsored by AA skincare. Open to over 18’s only. Giveaway is for UK residents. The giveaway closes on the date stated on the rafflecopter and a winner will be chosen at random and contacted via email within one week of being chosen. AA skincare are responsible for shipping the prize, no cash alternative given, neither Ana goes green nor AA skincare will be responsible for prizes that are lost or damaged.